The Reverend Gary M. Bailey is a lifelong Free Will Baptist who grew up in Rose of Sharon OFWB. He is a graduate of Mount Olive College (UMO) and North Carolina State University. He was ordained on July 12, 1972, in the Central Conference, of which he is still a member. He married the former Kristie Raper in 1973. He has pastored three Churches in his ministry, Elm Grove (1974-1979), Stoney Creek (1979-2013) and the First FWB Church of Goldsboro (2014-2018). He has been actively involved in the work of our Convention serving on several boards and committees as well as several offices of his Conference. 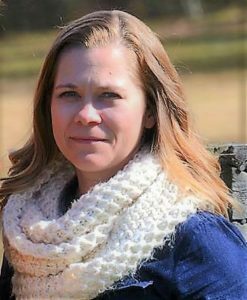 My name is Angela Mattox, and I am the Student Ministry Director at Wintergreen OFWB Church. I also serve as the Marketing and Promotions Director of Cragmont. My passion is to equip people with practical tools that will help them develop their own faith relationship with Jesus Christ. I have been serving in Ministry since 1998. I grew up in Winston-Salem and have attended John Wesley College and the University of Mount Olive. My husband, Joe, and I married in 2003 and we have been doing ministry together ever since. Currently we live in Cove City and have a son named Blayden along with a crazy cat named Chopper. If you or your church would like more information about Cragmont you can visit me on Wednesdays at the office in Mount Olive or we can schedule a visit out to your church. It is our privilege to serve our Home Church along with Cragmont. Gail began working with the OFWB Christian Education Ministry, formally known as The Sunday School Ministry, as Ms. Mary Dudley’s assistant in Dec. 2008 and upon the retirement of Ms. Dudley in 2015, Gail was named as director. Gail studied Business Administration at Coastal Carolina and also received certification in Early Childhood Development. She taught Pre K for many years before substitute teaching in the Public School System. Gail has taught Sunday School and youth groups throughout her married life as well as co-directing many years of camp with her husband Tim. They have been married for 32 years and have 2 daughters and one grandson, Reid and live in Beulaville NC close to Bethlehem OFWB where Tim pastors. 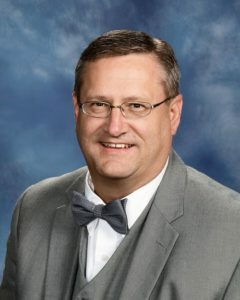 The Reverend Franklin Baggett is the Interim Director of Home Missions and Evangelism as well as the pastor of Elm Grove Original Free Will Baptist Church in Ayden, NC. *The Reverend Baggett is in the Convention Services Office on Mondays. If you need to contact him on other days, please email him at ofwbhomemissions@gmail.com. Or you can reach him by calling 252-341-1517.